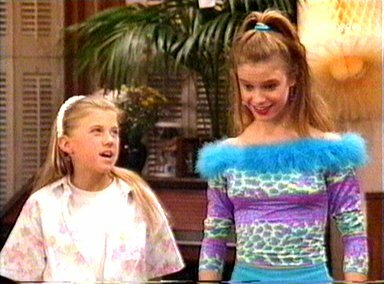 When I was a kid, watching Full House, if you would have told me that the twins who played Michelle Tanner would grow up to be bona fide fashion designers, I would have said, "Michelle Tanner? No. Kimmy Gibbler, maybe, but the 'You got it dude' kid? Nope. I don't believe you." There are only a handful of celebrities whose personal style I'm a fan of. Chief among them? Nicole Richie, Rachel Bilson, and of course the Olsens. Unlike other celebrity designers, their lines seems to reflect their actual style sensibilities... but unfortunately, also their budget (I'm specifically referring to The Row and Elizabeth and James). Ah, so wonderful but so out of my budget. So that's why I was excited to learn about StyleMint earlier this year. It's Mary-Kate and Ashley Olsen's tee shirt line backed by the BeachMint company, who also backs Kate Bosworth's jewelry line JewelMint and Rachel Bilson's ShoeMint collaboration with Steve Madden. Each tee is priced at $29.99 and they're manufactured in L.A. I tried the Pacific tee in my last outfit post, and I loved the ease of it. I was impressed with the quality and the shirt washes really well. It's thin but not so thin you need a camisole. It goes well with jeans, but I can also see myself wearing this with cutoffs and boots well into the Texas summer. I plan to wear it again with a maxi skirt for a comfortable, stylish alternative to sweats at the store. I'm excited to host a giveaway for a StyleMint tee because it's hard to find affordable, domestically made, stylish basics, and let's face it: blog reviews are always more fun when there's a giveaway involved, right? Edit: form removed. Entry period over.And just so you know, there's HUGE sales going on on StyleMint, JewelMint, and ShoeMint today. Yay, CyberMonday! Check my new sales page for more info. We're four days into seven days of giveaways on Adored Austin. This has been fun! Make sure to follow Adored Austin on Google, Bloglovin', Twitter, or Facebook so that you can get advanced notification of my next three giveaways! Today is the last day to enter to win a the best cardigan in the entire world from Francesca's Collection.